Contributor and arts editor at The New Yorker Michael Schulman presents Her Again, which chronicles Streep’s rise to fame and offers a rare glimpse into the life of the actress long before she became an icon. In 2012, when Colin Firth presented Meryl Streep with her third Academy Award for her work in The Iron Lady, Streep bounded to the stage and delivered one of her artfully wry acceptance speeches: “When they called my name, I had this feeling I could hear half of America going, ‘Ohhh, no. Oh, come on— why? Her. Again.’” The title Greatest Living Actress had long been affixed to her name (though she would be the first to tell you no such thing exists). She was a movie star, an American treasure, one of those rare actors whose career had not only endured but thrived over many decades. But years earlier, as a young woman learning her way, all of this fame and success seemed far from inevitable. Michael Schulman, a contributor and arts editor at the New Yorker, tells the story of Streep’s early rise in HER AGAIN: Becoming Meryl Streep, the first thoroughly researched biography of the actress—and a portrait of a woman, an era, and a profession. 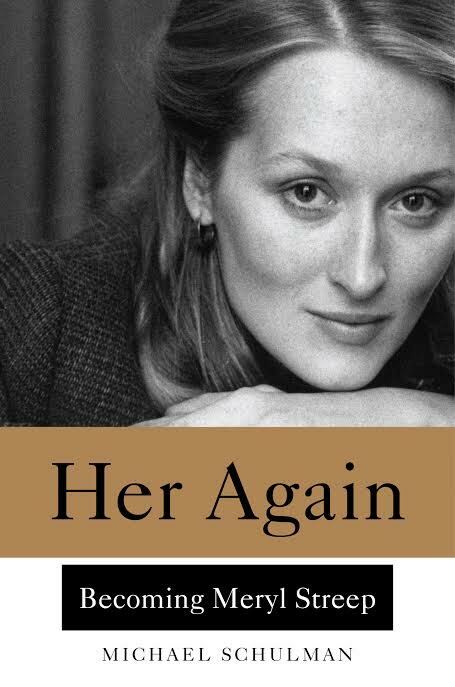 With the narrative thrust of a novel, HER AGAIN peels back the curtain behind the greatest actress of her generation, granting us an intimate look into the formative years that shaped her into the icon she is today. In 1975 Streep, a promising young graduate of the Yale Drama School, was finding her way in the New York theater scene. In her first season in New York, she won attention-getting parts in back-to-back Broadway plays, a Tony nomination, and two roles in Shakespeare in the Park productions. Even then, people said, “Her. Again.” From her days as homecoming queen at her suburban New Jersey high school, through her early days at Vassar College and Yale School of Drama during its golden years, to her star-making roles in The Deer Hunter, Manhattan, and Kramer vs. Kramer, Schulman paints an indelible portrait of the artist as a young actress. He brings into focus Streep’s heady rise to stardom on the New York stage; her passionate, tragically short-lived love affair with fellow actor John Cazale; her marriage to Don Gummer; and her evolution as a young woman in the 1970s wrestling with changing ideas of feminism, marriage, love, and sacrifice. HER AGAIN is the story of a gifted young woman coming into her extraordinary talents at a time of immense transformation, a rare glimpse into the life of the actress long before she became an icon. 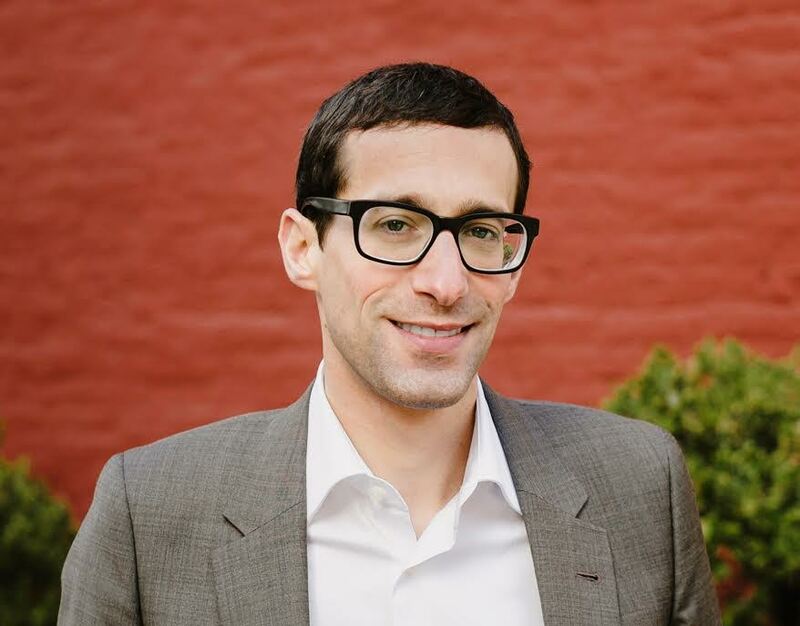 Michael Schulman is a contributor and arts editor at The New Yorker. His work has appeared in the New York Times, The Believer, and other publications. He lives in New York City. Mo Rocca is a Correspondent for CBS Sunday Morning and host and creator of the Cooking Channel’s My Grandmother’s Ravioli, in which he learns to cook from grandmothers and grandfathers across the country. He’s also the host of the CBS Saturday morning show The Henry Ford’s Innovation Nation and a frequent panelist on NPR’s hit weekly quiz show Wait, Wait…Don’t Tell Me! On Broadway he starred as Vice Principal Panch in The 25th Annual Putnam County Spelling Bee. He played Doody in the Southeast Asia tour of Grease.